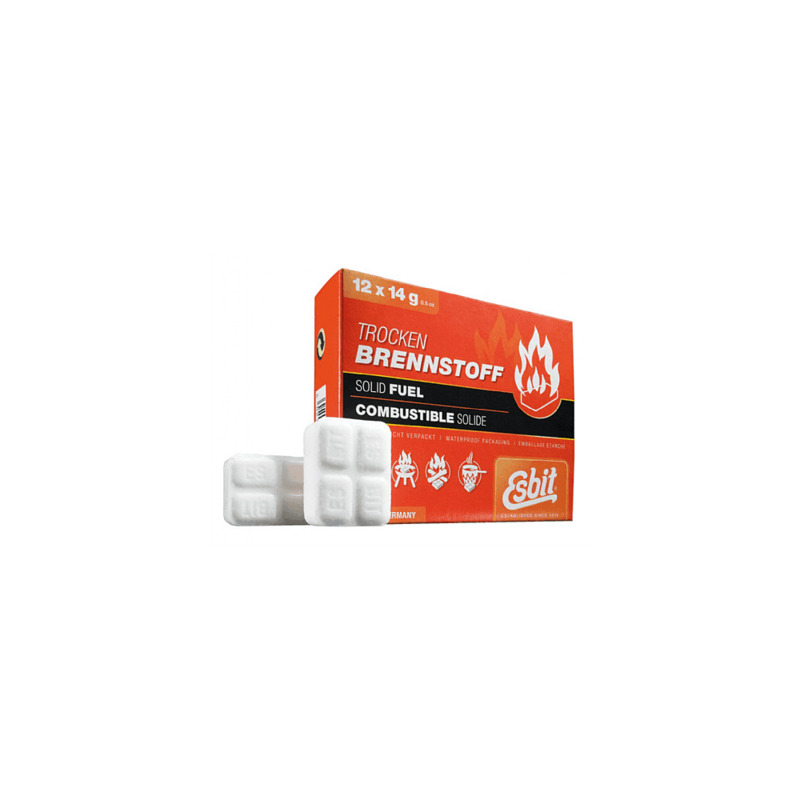 The Esbit combustible Solid Tablets work at high altitudes and sub-zero temperatures with no visible smoke formation and minimal combustion residues. The Esbit Solid Fuel has a variety of uses: for cooking and heating up meals and beverages or for starting fires and charcoal BBQs. Ideal for the runner and hiker carrying lightweight cookers and freeze dried meals. The pack contains 12 tablets, 14g each packed waterproof with a combustion time equaling 12 minutes.